One of the most brilliant, insane and unbelievable races of the year puts crazy overpowered sedans to battle around Australia’s Mount Panorama. The Bathurst 1000 starts tomorrow night, and it’s still disappointingly not broadcast on American television. It’s the last time we’ll get to see an all-V8-powered field, though, so it’s worth watching. Here’s how. 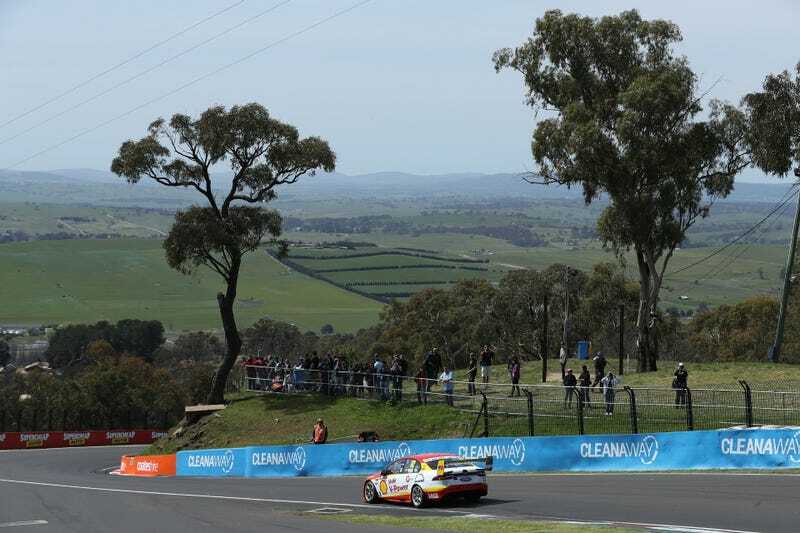 What makes Bathurst worth the watch? It’s a 621-mile endurance race for big Aussie sedan touring cars, which means there’s plenty of bump ‘n’ grind on the tight, narrow Mount Panorama street course. In addition to epic twisties, the Conrod Straight is one of the longest straights in motor racing, allowing these cars to go to plaid before they’re sent around “The Chase” chicane, which—let’s just say gets to be a source of entertainment when drivers miss it. Then there’s the sound. While the 2017 don’t-call-them-V8-Supercars-anymore Supercars regulations allow for other neat cars to enter the series, I’ll miss that glorious V8 roar. This is our last year to enjoy it. Savor it. 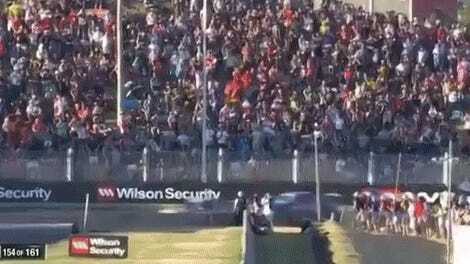 The timing of this year’s Bathurst 1000 is especially bittersweet. Holden vs. Ford was the defining rivalry of the V8 Supercar era. Ford ended local Australian production this week, per CarScoops. General Motors previously announced that Australian production of Holdens will follow suit in 2017. Farewell, Aussie-made burnout machines. You served us well. For Americans, our only legal means of watching Australia’s greatest race is through V8 Superview. The upside is that it’s a reliable commercial-free stream, so you won’t have to deal with 42 WeatherTech ads or bizarre mid-race channel changes interrupting the action. To be honest, I wish more series would follow suit and offer races directly like this. Get a shoe ready for the ending. It’s going to be rad.